I Love My Amazing Animals: CHIMPANZEE OPENS TODAY!!!! Today is the last day of posting about the Chimpanzee movie. I will tell you why I did this movie marathon, my mother a few months ago saw the ad in the newspaper and she cut it out and put it on her table and reminds me that it is coming out...She will be so happy that this weekend when I take her to the movies. I haven't told her yet but I'm sure I'm taking her tonight or Saturday night. I can't wait to see Chimpanzee! Now granted, I don't go to too many movies but this movie, I will see. Plus we are helping out a very good cause by helping Chimpanzees, during its opening weekend in support of the Jane Goodall Foundation partnership. 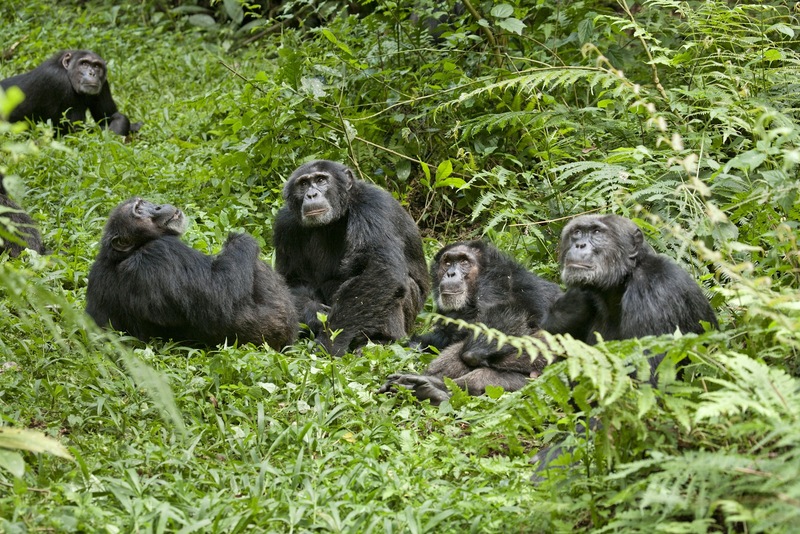 For every moviegoer who sees CHIMPANZEE during the film’s opening week (April 20-26, 2012), Disneynature will make a donation to JGI through the Disney Worldwide Conservation Fund in order to protect chimpanzees and their habitats, now and into the future. As promised, fact #5: Currently 269 chimpanzees live in 34 United States zoos that are accredited with the Association of Zoos and Aquariums (AZA). These facilities are dedicated to excellence in animal care, conservation, education and science and meet the highest standards in animal health, husbandry and welfare. See CHIMPANZEE, Save Chimpanzees! Winston would tell you it's a dirty job, but somebody has to do it! I'll be picking the winner of the Chimpanzee Prize Pack later on today! Well, don't forget to post a comment and you will be entered to win the CHIMPANZEE prize pack...and CHIMPANZEE opens TODAY, April 20th!! 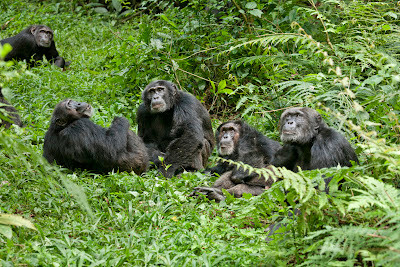 I hope you have enjoyed the five days of Chimpanzee knowledge as much as I did! If you haven't gone to the media file, I suggest you do, you can see more pictures, other digital assets and even down load some coloring pages for your little peeps! Awwwww yay for Chimpanzees! thank you so much for the fun and informative posts on these wonderful creatures! enjoy the movie, and Winstons face is worth more than a thousand words. so sweet. been fun reading the facts about the chimps. This has been a great week of info! Your puppy dogs are too cute! Hugs to them all! I studied anthropology a lot in college and there was a lot of monkeys, apes and gorillas discussed. I fell in love with them. Went to the LA Zoo in California one year with my class and we managed to start up a chorus in the monkey enclosure. Gibbons like to make noises. It felt musical!! Make sure you get some popcorn and soda to go with that movie! Have fun watching it! I will have to check and see if this movie is playing around here this weekend...so good you are making others aware of this! I very much enjoyed your Chimpanzee posts, as all of your posts. Your blog is awesome. So are you. I really wish there were more like you. Hugs. Thank you for posting this interesting post about chimpanzees. I think they are cute! I also lover ligers!